Another great Review from Angies List! B and B Surveying Company has received another report from an Angie's List member. They grade us "A". This give us a total of 20 member reports with 19 grading us "A" and 1 grading us "B". In addition we have 15 non-member reports that are all positive. Description Of Work: Performed a land title survey to find property lines prior to my installation of a new fence. 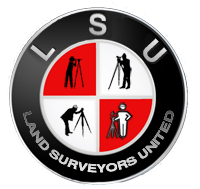 Member Comments: Excellent service from B & B Surveying starting with the original inquiry and continuing through the physical survey process to the delivery of five survey copies. What words of advice would you give other members considering this contractor? Hire B & B Surveying Co.
What words of advice would you give this contractor? None"